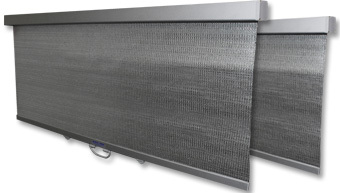 Econofrost woven aluminum night covers conserve electrical energy on open refrigerated displays and freezer cases and provide significant savings in reduced shrink and discard. Simple to install and easy to use, Econofrost night curtains are the preferred night cover among major leading retailers. But most importantly, the Econofrost brand of night covers is the only night cover to have been validated independently by third party testing through Southern California Edison’s Refrigeration Lab in Irwindale California.